Lets Find These Stolen Benches! In an earlier blog I reported the theft of some benches from Horndean Parish Councils grounds at Jubilee Field. They are ours and we paid for them in our Council Tax contribution to the Parish Council. It turns out there were three of them and the chances are reasonable they are still in Horndean of nearby. The benches were made, ironically, by prisoners in the Scottish Prison Service as a part of their rehabilitation and while the SPS does supply some garden centres these are rather more unusual to find because they are not mass produced like most garden centre stock. 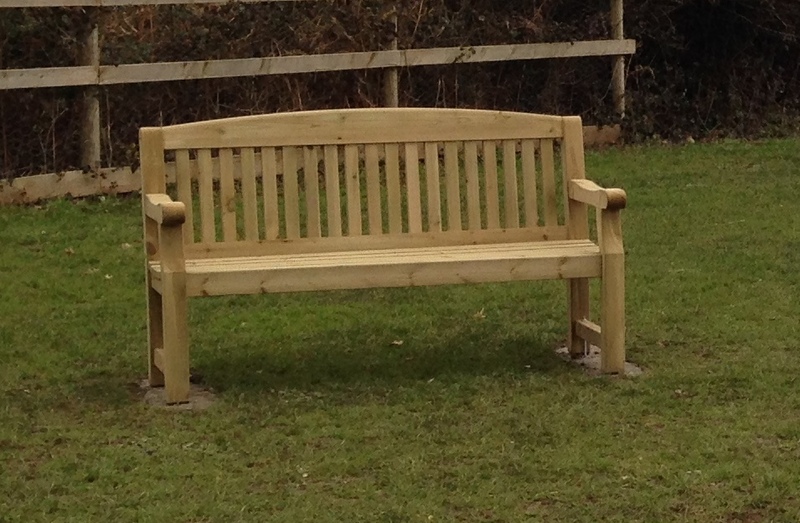 Photo of the type of stolen bench – photo will enlarge if you click on it.